Service, at an all time low? “We show up” as one of the reasons for hiring/contracting their services. A Bindable run. No more crazy solutions to getting a block of text to support binding without a hack! LayoutRounding. Objects will be placed on pixel boundaries – less blur! Text clarity improvements. Smaller fonts can be rendered and still be readable! Caret and Selection Brushes exposed! Now you can fully skin even a text box without worrying about whether it will be usable on all systems. if you’re into systems, performance, troubleshooting, etc. of Windows, check out the AskPerf blog on Technet. 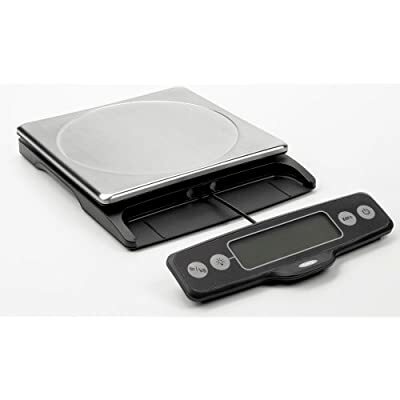 An innovative kitchen scale … how cool! If you don’t see what’s cool about this – it’s the fact that you can actually read the measurement even with a large plate sitting on top of the scale! Oxo has some cool products – you can tell their designers actually think about how people cook, and how just repeating what other companies are doing often isn’t the right answer. Back to (un)regularly scheduled blogging. Jimmy is a great photographer – and clearly has mastered fears of heights and falling! (It’s not so much the height that bother me …, it’s that whole falling part!). Check out his portfolio/web site here and blog here.